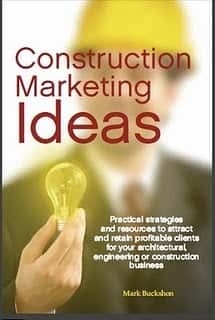 I’ve attended Construct Canada (The Buildings Show) virtually every year since the original opportunity back in the late 1990s. Then, a unique set of circumstances resulted in my company being banned from the show even after the show’s organizers directly sought (and received) my publication’s co-operation in promoting the event. The resulting red-faced crisis certainly paid off in the long run, although in an extremely indirect manner (as in business and life, we often find results from one circumstance have impact far away from the original situation). The problem: The show had entered into an agreement with another publisher designed specifically to exclude me — and that publisher was one of my former employees who decided to set up his own competitive business. Show management had thought he was referring to yet a third publisher (the story gets a bit complicated) who had been abusing show rules by marketing his newspaper on the show floor without exhibiting or seeking a co-operation agreement. In essence, Construct Canada management managed to take sides inadvertently against me. So, like any situation where a contract is truly unfair, they came up with a creative solution. 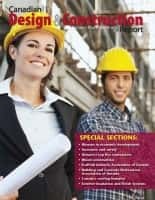 At the time, we had an alliance with McGraw-Hill Construction. (The parent company has since spun off its Dodge construction report service, and renamed itself as Standard and Poor’s.) For this show, I would be an “unofficial” McGraw-Hill employee, wearing an exhibitor badge without an exhibit — and handing out copies of my publication at the McGraw-Hill booth. In the following year, and for several years afterwords, the show organizers found a booth for us in another section of the larger Buildings Show, technically complying with their agreement with my competitor, but still allowing me into the event. We’ve had varying results at the show over the years. In some cases, intense relationships and sales opportunities occurred; in others, we spent significant sums staffing the show with several employees for meagre returns. At present, we take a relatively low-key approach; using the event to maintain relationships and keep an eye on the industry. I expect our presence will be much more lively next December when our new publication is in full-scale operation. 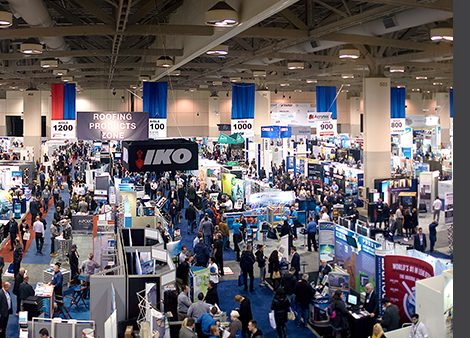 The fact is, trade shows, like any other form of paid media publicity, can be effective and valuable, but there are no guarantees. Costs certainly can be significant, if you add the staff time and accommodation, booth preparation, and ancillary fees. There will be many tire-kickers and unqualified visitors to your booth (if there is traffic — some shows are disappointing in that regard) — and then you have to convert the leads to orders, and often this is easier said than done. In describing how to work with or use shows, I’m caught in the middle ground between encouraging you to temper your expectations, while asking you to be prepared and eager to embrace the leads that you attract. In a few hours, I’ll return to the show floor, attending some seminars and events. Of course I have the advantage of media status — including booth rental trade-out and a media badge that allows me to roam though and visit virtually all of the speakers and seminars without fee. If you wish to reach me directly at the show, please send an email to buckshon@cnrgp.com or phone (613) 292-3973 as I’ll often be away from the booth.